The government of Qatar has pledged tens of thousands of jobs to the African nation of Uganda. The government of Qatar has promised the people of Uganda 40,000 jobs in the country starting next year. 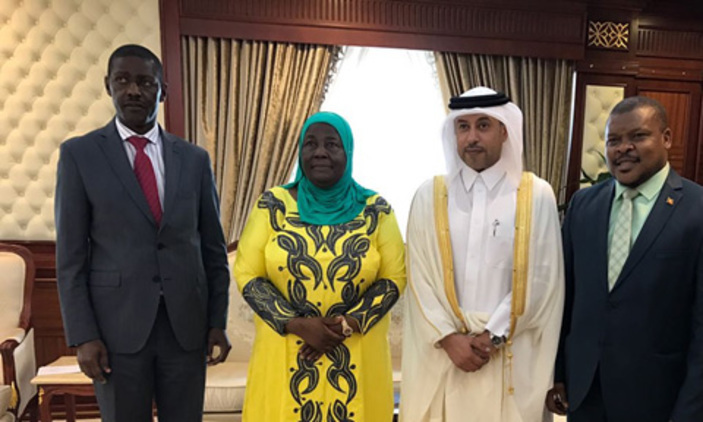 The pledge was made by Qatar’s Minister of Administrative Development, Labor and Social Affairs, Dr. Eisa Saad Aljafali Al-Naimi, during a meeting with his Ugandan counterpart, Hajjat Janat Mukawa, in Doha. The move will raise the population of Ugandans working in Qatar exponentially. There are around 3000 Ugandan nationals currently working in Qatar, with hopefully another 40,000 moving in the next year to assume professional position in various sectors. In Doha, the two ministers discussed Qatar-Uganda bilateral labor framework and exchanged drafts of agreements for review before official signing. The two countries are expected to sign a handful of deals early next year. This will be the third agreement Uganda signs with a Middle East country in recent history. The country signed a similar deal with Saudi Arabia in 2015, and with Jordan around two weeks ago. The agreements are expected to pave way for Qatari trade and investment inflows to Uganda, according to the pledge made by the Emir Sheikh Tamim bin Hamad Al-Thani, the ruler of Qatar, to Uganda’s ambassador to Saudi Arabia, Dr. Rashid Ssemuddu, during a ceremony of presentation of credentials in 2014, according to a statement made by the Ugandan Embassy to Saudi Arabia. President Yoweri Museveni is also expected to visit Qatar early in 2017, where he will be hosted by the Emir. During the visit, the two heads of state are expected to sign agreements on avoidance of double taxation, investment protection and cooperation in agriculture, in addition to the bilateral deals on labor. Minister Mukwaya recently expressed gratitude to the government of Qatar for offering Ugandans plenty jobs and careers within decent sectors and industries.